Located within the district of Mendip, Wells is a cathedral city in Somerset. With a population of just over 10,000, there’s a thriving housing market in the area, with some properties making the most of the beautiful surrounding countryside. At My Home Move Conveyancing we’ve been developing our knowledge of local markets like the one in Wells since 2001, allowing us to bring a specialist, fixed fee conveyancing service to our clients in the city. When buying or selling property in Wells, you must instruct property lawyers to carry out the legal work for you. 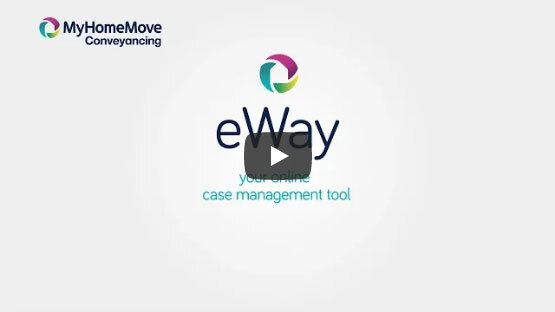 My Home Move Conveyancing offers our clients in Wells an award winning level of customer service, which we combine with a revolutionary use of technology and intimate knowledge of the local market. Our fixed fee conveyancing service comes with no extra hidden costs to worry about. When you choose us to be your Wells conveyancers, you’ll know exactly how much you’re going to pay right from the outset. For extra peace of mind, if you don’t end up moving for some reason, then you won’t have to pay us anything in legal fees thanks to our ‘no completion – no fee’ policy. We’ll assign you a dedicated conveyancer, who’ll take care of all aspects of your case right through to your completion. You’ll have a consistent point of contact and regular, easy to understand updates, as well as 24-hour online access to your account. At My Home Move Conveyancing we’re proud to assist homebuyers with our conveyancing services in Wells, whether you want to be close to the city centre, near the cathedral, or in a neighbourhood like Woodbury or Keward. The average house price in Mendip is £243,607, while the overall average sale price during the past 12 months in Wells was higher than this at £280,347. Most sales in this period involved terraced properties, going for an average of £245,861. Detached houses fetched £432,055 and semis went for £253,674. Despite its small size, Wells has been designated as a city since medieval times thanks to Wells Cathedral, which was built between 1175 and 1490 and replaced an earlier church that stood on the same site from the early eighth century. Taking its name from three wells dedicated to Saint Andrew, the Romans built a settlement in the area which grew in size during Anglo-Saxon times thanks to the original church. Although there are plenty of amenities to take advantage of in the city, Wells retains a small town feel. Sitting at the foot of the Mendip Hills, Wells is in a rural part of Somerset which means that transport links aren’t the best. There are no railway stations in the area, but there are local bus services and the city lies at the meeting point of the A39 and A371 roads. There are some good schools in the area for families with children to take into account, with local primary schools including Stoberry Park, St Cuthbert's CofE and St Joseph and St Teresa Catholic Primary. The Blue School is a mixed secondary school with a sixth form that has a history stretching back to 1654, while Wells Cathedral School is an independent school with a rich musical heritage. All properties in Wells will fall within one of the following council tax bands.